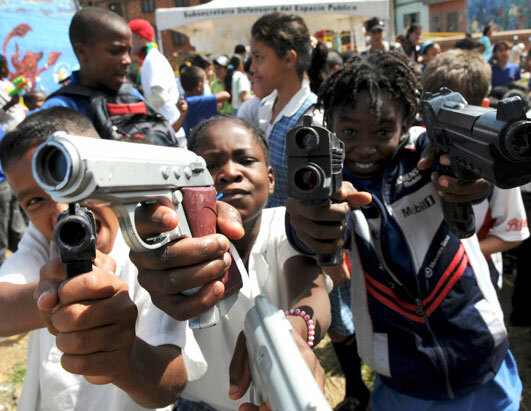 This recent video posted on the World Star Hip Hop website, shows 3 Chicago children brandishing what appears to be a handgun. They were engaged in gang affiliation taunts by an adult gang member from his parked car as the children walked by. This is complete madness and that man is grossly irresponsible. Even more appalling is the fact that the website would even post such a video! With increasing threats by the current White House Administration to send in the National Guard to remedy the high volume of gun violence in Chicago, videos like this help President Trump justify implementing a Military State of policing to quell the “super-predators” known as the black youth. Instead of teaching these young boys something constructive or how to be productive members of society, this man is worried about authenticating gang protocol and is heard saying “google me” as a form of validating his gang status. The irony is, when those military trucks roll into town, we can be assured the African American community will rally to protest the injustice of such action. All the so-called Black leaders will hit the talk show circuit to pontificate. But the work needs to happen NOW. The time to act collectively is NOW. The time to donate your dollars and your time is NOW. We can’t afford to wait for more gun violence to end innocent life, before we express outrage. The sensationalism and glorification of violence by the Entertainment Industry must be addressed. The content spewed online, in movies, magazines, and in popular music ensures a steady new stream of disillusioned young minds that are seeking misguided validation – to fit into a world that endorses such behavior. The ensuing conflicts that result from the pursuit of attaining materialistic gratification, have deadly consequences indeed. At what point do we as a society take charge and hold these billion dollar companies accountable? At what point to we as a nation stand up and take collective action over the long haul, instead of accepting news sound bites for a few days? 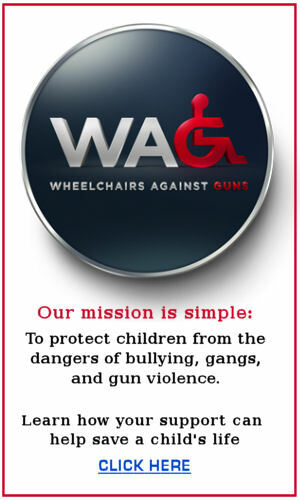 This is why the work and leadership of Non-Profit organizations like Wheelchairs Against Guns (WAG), is a crucial component in reversing the cycle of gun violence amongst inner city youth. Look for more posts capturing our summer initiatives, coming soon. Please contribute and support the WAG mission as we are doing the hard work NOW.